Speaking Workshop at WordCamp Toronto | Get Speaking! Following our workshop in Montreal on November 13, Kathryn Presner and Tammie Lister will head one province west to Ontario. As part of WordCamp Toronto‘s Community track we’ll give our workshop for aspiring speakers on Sunday, November 16, from 9:30 am to noon. Admission to So You Want to Be a WordCamp Speaker is free for all WordCamp attendees. While the event is sold out, unused tickets may be released before WordCamp weekend, so keep your eye out if you missed the boat. Like all our public workshops to date, the session is geared to folks who’ve held back from submitting a talk due to nervousness, fear, imposter syndrome, or other concerns. We’ll tackle everything from writing a proposal, to dealing with stage fright and making great slides. 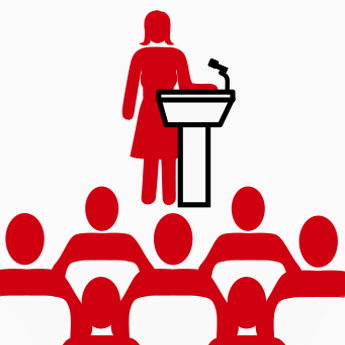 Our aim is to inspire everyone who attends to go ahead and submit their first talk. We look forward to meeting lots of you in Toronto and helping you make the leap from WordCamp attendee to WordCamp speaker!